My dress! It is perfect to wear under cardigans and jackets. but perfect for layering, especially since it isn’t too cold here yet. The back – I added darts to help the fit. Camera flash makes it look more wrinkly than it is in real life. I did my best to match the plaid stripes on the side. Close up of the cowl detail. Also – FBA for the win! 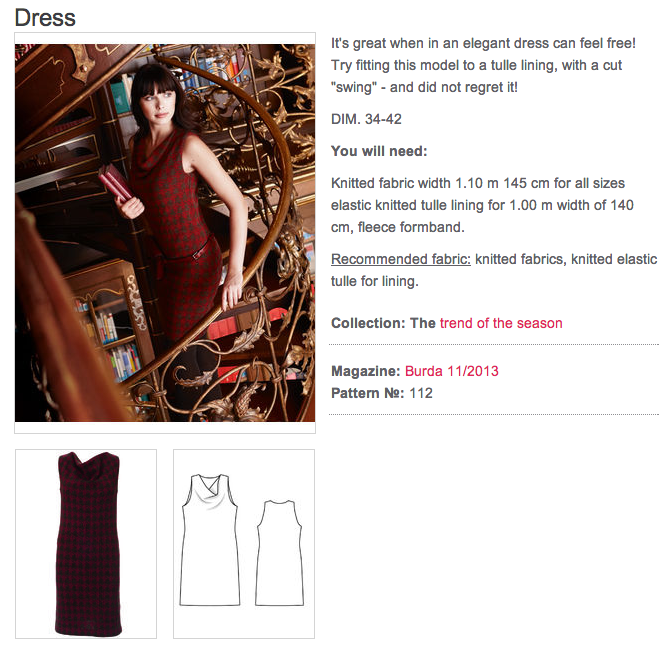 Pattern Description: Cowl neck knit dress with lining. Pattern Sizing: Burda sizes 34-42. I traced a size 38 at the shoulders and did an FBA. Usually I trace a size 40, but I have been noticing that this tends to produce a bit more gaping at the neckline than I would like. So I think might try the 38/FBA for knits and close fitting garments in the future. I graded out to a 40 at the waist and approximately a 44/46 (larger than the available sizes) at the hips and skirt section. Were the instructions easy to follow? Mostly easy, though I did find the section about the sewing the lining shoulders a bit confusing because I wasn’t exactly sure how much to overlap the cowl facing. I also thought the description for sewing the arm openings was a bit more wordy than it needed to be. Overall the instructions weren’t the best, but weren’t terrible. The dress is pretty easy to sew, so I don’t think the poor instructions are that problematic in the construction process. Did it look like the photo/drawing when you were done with it? Yes! The cowl and proportions looked quite like the model photo. I am very pleased with the way the finished dress looks. What did you particularly like/dislike about this pattern? Likes: I like the style, and that it was very easy to sew. It probably took me about 4 hours to make, start to finish, and that long only because I sewed the hem in place by hand as instructed by the magazine. I really loved the depth of the cowl drape – enough to be dramatic, but not so deep that it would become indecent. I also really like that this pattern is lined – it helps the dress lie smoothly without clinging in an awkward way. Dislikes: The instructions could have been slightly better, and the back is a bit big and boxy. Fabric used: Mystery double knit that I found at the Michael Levine Loft. This is quite soft, so I expect it is some sort of rayon/poly/lycra mix, but I can’t be entirely sure. The lining is a bit of left over stretch mesh (illusion) that I had from a skating costume. All in all the materials probably cost me less than $10. Pattern alterations or design changes you made: I added an extra inch of length to the bottom of the dress, I did an FBA to help fit the bust, and I added darts to the back of the dress because it was a bit baggy without the additional shaping. Otherwise the pattern is made as drafted and instructed in the magazine. Would you sew this again? Would you recommend this to others? Yes and yes! I really like the way this dress turned out. Easy to sew, comfy to wear – this is a great dress. I think it is especially great for winter – it is perfect for styling with tights or leggings and a great jacket. I could definitely see myself sewing another one of these in the future, especially if I find a nice thick knit in a fun print. Conclusion: Great pattern! Love the style – very easy to incorporate into a wardrobe. 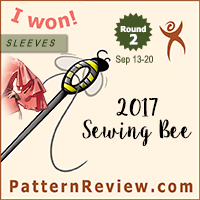 The pattern may require a few alterations (such as back darts), but it is so easy to make that I think minor fit alterations shouldn’t be a deterrent. This definitely isn’t a wow piece, but it is a great addition to my wardrobe and I expect it will be seeing a lot of use in the near future. Yay – I finished a project on my November sewing list! I haven’t been feeling the mojo much lately, but I am hoping it will pick up during the remainder of the month. Still have a lot of projects I am wanting to get to, but with the holidays approaching I am going to have to be a bit more strategic with my sewing time to get to them all… Oh well, at least I can enjoy wearing my new dress in the meantime. Great dress! Awesome plaid matching 😀 I loved that pattern when I saw it too. 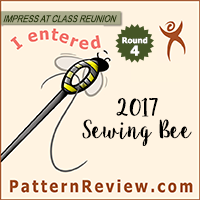 I can't wait to sew it up after seeing yours and reading your review! Thanks for the tips on the baggy back – I have a swayback so I'll be extra cautious when making it. Terrific dress and great colour on you. Awesome fit too. It would really pop with a cardi (or jacket) in the same blue. I'm always too lazy to do an FBA, but yours seems to have worked perfectly – great fit and great dress! I am exactly sure how much you are looking pretty. This is really great! The color and plaid make it fun, and the fit is spot on. Great fit!!! And beautiful color! WIN! Cute! I want to make this dress too. It really fits nicely. When I saw the photos I couldn't wait to see what you did to make it fit so well. I have to do the same thing for my daughter's dress. Those darts really work.